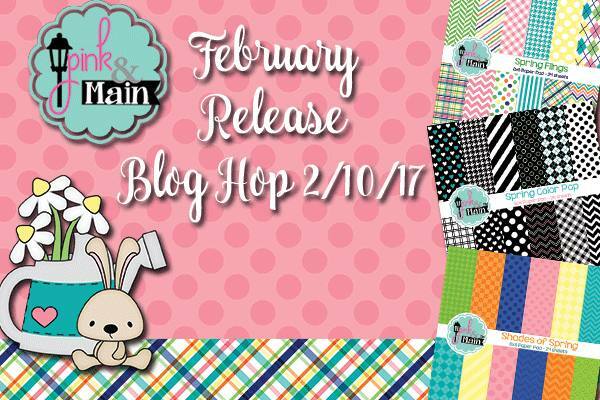 Pink And Main February Release! 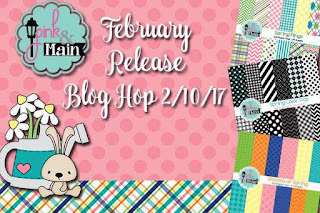 Hey guys, I'm happy and honored to announce that I was asked to participate in Pink and Main's new release event for February! Michelle has an amazing release this month and I can't wait to share it with you all. I'm hoping you all like what I have done with this adorable set. 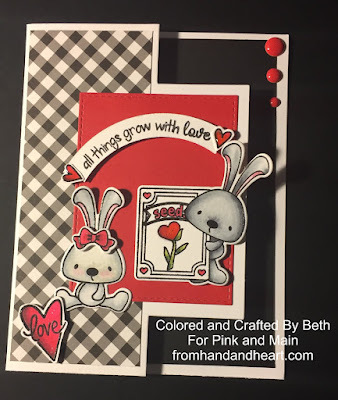 I made this sweet Valentine with the new Seeds of Kindness stamp and die sets, look at those cute little bunnies! The hearts on the card were from Pink and Main's Hearts stamp set. 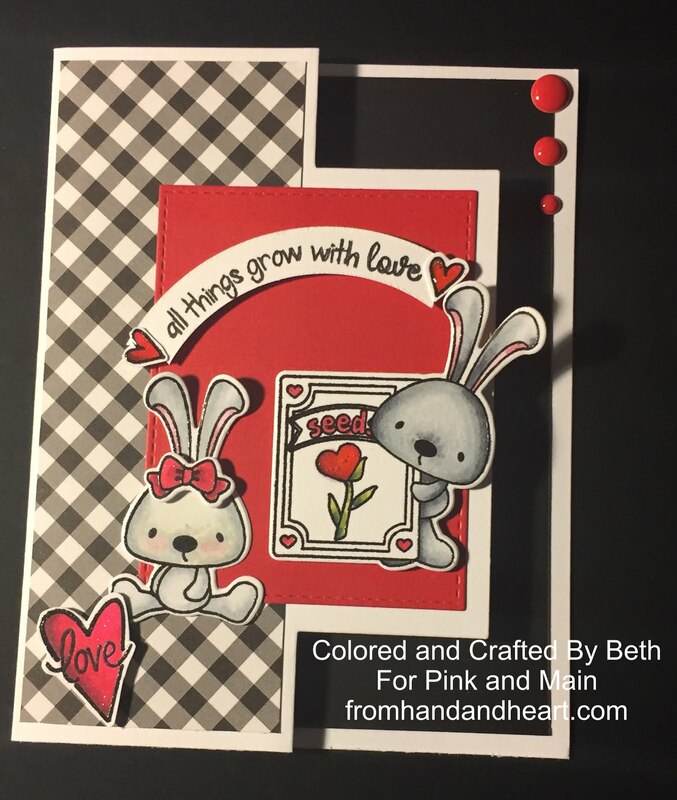 I also used her brand new paper pad, Spring Color Pop to put the gingham pattern in this card. 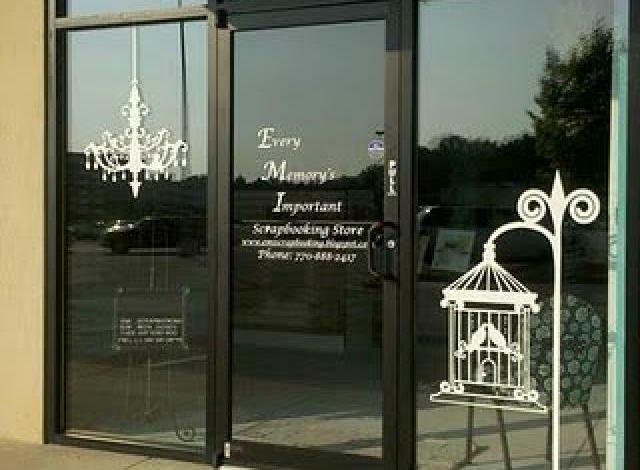 Please don't forget to check out what the rest of the designers have made for this month. Michelle has such a talented team working with her. Each blog has a prize to give away, and I am excited to give away The Seeds of Kindness stamp set. 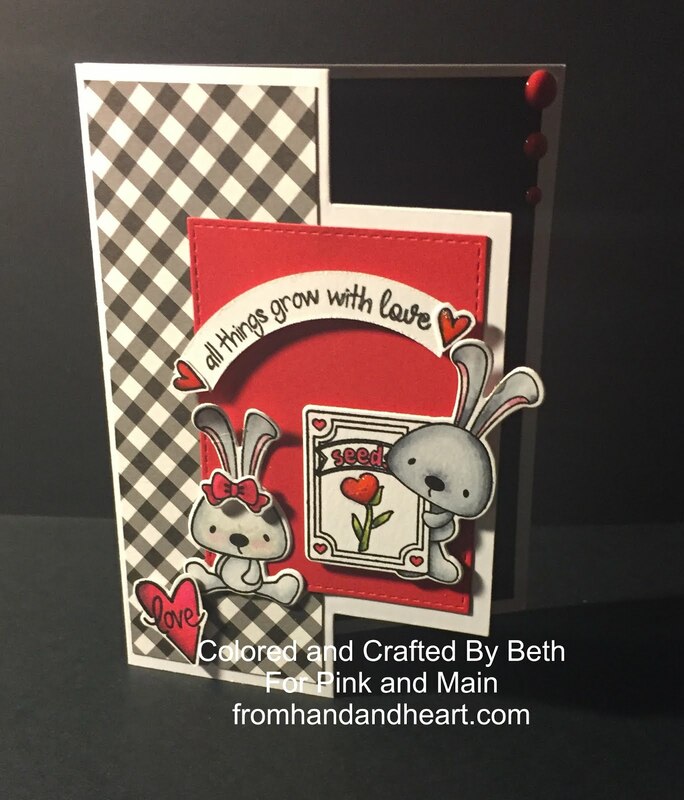 To enter the giveaway, just leave a comment here and on every blog in the hop. They will choose random winners from the comments and post them on the Pink and Main blog on the 15th.